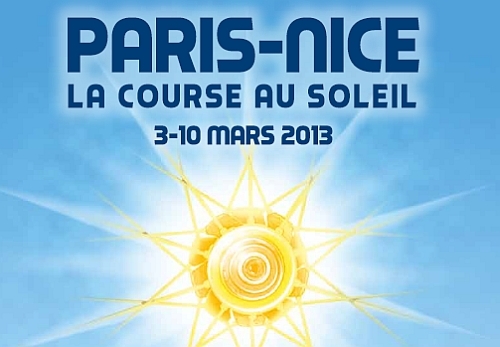 Paris-Nice leaves the French capital for the Mediterranean coast and its sunshine. Along the way there’s a variety of terrain including the high mountains. A mini Tour de France in March. A fine race it its own right, the daily battles also give us a clue to the form of riders ahead of the classics. Here’s an overview for the whole race. There’s a concise preview of every stage with my take on the day plus plenty of other information on the prizes, jerseys, TV schedules and more. In addition, on the morning of every stage you’ll find a separate blog posting with updates and information called “The Spin”. This daily preview will be updated to reflect current news and also includes detailed information on the route, the kind of precision normally reserved for a team briefing. The pre-prologue Spin on Saturday will cover the overall contenders as well as the prologue but for now note we should see a battle between Robert Gesink, Tejay van Garderen, Jacob Fuglsang, J-C Péraud, Andrew Talansky, Andreas Klöden, Nicolas Roche, Dennis Menchov and Richie Porte for the overall with others to consider plus a good mix for the sprints and hilly stages with the likes of Philippe Gilbert, Tom Boonen, Rein Taaramae, Michael Matthews and Thomas de Gendt already names to think about. If many big names will be in Italy for Tirreno Adriatico there’s still a good field here. This is a blog post but there’s a permanent page at inrng.com/paris-nice which can be easily reached during the race via the navigation bar at the top of the page. A suburban start with the prologue taking place in a built-up area west of Paris on land caught in a meander of the Seine river. The route is flat, there is a drag up towards the halfway point but the height gained is small, a railway bridge near the finish provides more elevation. Riders will still need to get their gearing right for there are 10 corners in the space of three kilometres. This is a curious course held on small roads complete with raised speed bumps and sunken inspection covers that flies past indifferent looking houses, cafés and blocks of flats. It’s a time trial but will suit the prologue specialists and watch for the sprinters who can master the sprint-brake-corner-sprint routine. Houilles should be famous for Victor Schoelcher because he is the man who helped abolish slavery in France. Celebrated in France’s colonies today he’s more a forgotten figure on the mainland. A day for the sprinters as the race heads south of Paris via commuter towns to the flat lands where wheat is grown as far as the eye can see to provide the flour needed for the 10 billion baguettes consumed in France each year. Somehow they’ve found a climb with a road that rises at 4% for 500m. The region is flat but the race has to award a mountains jersey so this will do. This looks like a day for the sprinters but note two things. First there are time bonuses which creates added incentives for the intermediate sprint and the finish but also the finish in Nemours is after a circuit, the race will enter Nemours and then leave for a 47km loop which means if the wind is blowing then at some point there will be crosswinds. Another day for the sprinters but again a circuit finish at the end could split things if the wind is blowing. The race passes through Gien, the home of Pierre Rolland, proof that mountain stage winners can live in the flat lands. The final straight is worth a mention being four kilometres long. Another circuit finish at the end of this stage which crosses the rural Auvergne region and its extinct volcanoes. There’s a sprint on the finish line before the race heads out for some more climbing before descending back to Brioude, the hometown of Ag2r’s Romain Bardet. This looks like a stage where a reduced bunch will contest the finish with riders attacking and teams setting the pace to eliminate the sprinters before the flat finish. Seven climbs on the day make this an important stage but perhaps one where the overall contenders play it safe and let a breakaway go away. Easier said than done as half the teams will want to place a rider in the early move on roads which climb from the start, if the breakaway chemistry isn’t right then the race could be very fast for the first hour. The finish is downhill with a sharp bend 500 metres from the line. 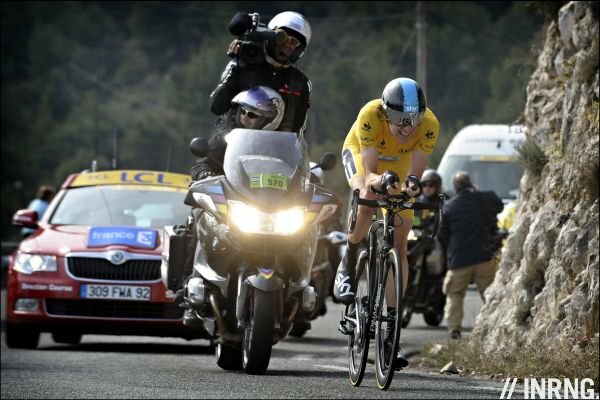 The Queen Stage of the 2013 Paris-Nice with the high altitude finish on the Montagne de Lure. The Lure is the smaller sister of Mont Ventoux and 13.8km at a gradient of 6.6%, flattered by a softer section in the middle before the final four kilometres rise at over 7% to the line. For sure it’s not the Stelvio, Galibier or Ventoux but it’s March and 1,600m is plenty. Generally this is a steady ascension to reward the climbers but where overall contenders can pace themselves to limit the losses. The mountain should dominate the stage in the way it dominates the landscapes as teams will look to set a pace for their protected riders. Expect a showdown here and remember the pure climbers need to take time ahead of the final time trial. When the race visited in 2009 Alberto Contador won. Fine scenery lies ahead as the race heads for Nice and the training roads of a sizeable proportion of the bunch especially in the hills behind Grasse with the Col du Ferrier. These are tricky roads and it can be hard to control the race but the run to Nice gets easier and can suit a chase. Often a group of 20-30 riders can come in for the finish. The historic Col d’Eze time trial is here again, a fixture in the race since the 1970s, it disappeared in the last decade but returned last year where Wiggins and Westra battled with the Brit pacing himself to win the race overall. It’s a tough effort and much harder than the mere nine kilometres suggests. It’s suited to specialists able to pace themselves on the ever-changing gradients. Normally the weather is fine but if otherwise it gets even harder with the crosswind from the sea making it even harder. There are four jerseys and they are similar to the Tour de France. In years past Paris-Nice awarded a white jersey to the leader but Tour de France organisers ASO have taken over the race and imposed their distinctive branding. The yellow jersey is the overall leader, the rider with the shortest cumulative time for all stages. Note time bonuses available in this race at the finish line or intermediate sprints, 10 – 6 – 4 seconds and 3 – 2 – 1 seconds respectively. It is sponsored by LCL, a French bank. The overall winner collects €16,000. The green jersey is the points jersey. There are points for the first 20 on every stage (25 – 22 – 20 – 18 – 16 – 15 – 14 – 13 – 12 – 11 – 10 – 9 – 8 -7 – 6 -5 – 4 – 3 – 2 – 1) and intermediate sprints (3 – 2 – 1). The competition is sponsored by PMU, a new sponsor for 2013 for Paris-Nice but the long time name on the Tour de France green jersey. It is the state-owned gambling operation. The holder after the final stage wins €2,000. The polka dot jersey is for the best climber. Note the race has three categories of climb, unlike the Tour de France with its five labels. Third category climbs have 4 – 2 – 1 points for the first three; second category climbs have 7 – 5 – 3 – 2 – 1 points for the first five and first category climbs offer 10 – 8 – 6 – 4 – 3 – 2 – 1 for the first seven. Sponsored by Alden, which makes satellite TV accessories. The holder after the final stage wins €2,000. The white jersey is for the best young rider, defined as those born after 1 January 1988. It is sponsored by Bürstner who make camping cars. Stage wins earn €4,000 with cash down to 20th place. Nobody knows what the race will bring and one of the features of Paris-Nice is the way the wind can ravage the peloton on the flat stages to make for a technical and tactical finish on a day when you’d just expect a sprint finish plus the hilly stages promise actionn and breakaways. So look for the daily “Spin” previews on here for tips on the weather. Whilst Ireland (TG4), Czech (CT4), Britain (ITV4), Latin America (DirecTV, ESPN Inter, ESPN Brasil), Australia (SBS), Canada (RDS), Middle-East (Dubai Sports), USA/Canada (NBC Sports) are all promising highlights packages. Depending on where you live you can pay for Eurosport’s video content via the Eurosport Player or you can find a pirate video stream via sites like cyclingfans.com or steephill.tv. Either way there is plenty of airtime and here is the French TV schedule with local Euro CET time which indicates when there will be live video. Talking of TV and timings, look out for the new motorbike on the race that will replace the old blackboard system used to give riders the time gaps and composition of breakaways. Thanks – Look forward to seeing the South of France later in the week! Probably… not. The real Ted King has a royal website, see the “Shift Gears” section on the side of the page here to take a look. Nice one. Who will win? Tempted by Tejay but it looks open. Yes, Sky aren’t using race days for training this year, preferring to use the training camp in Tenerife. Very poor parcours (the stage to Nice could be drawn to be a hundred times more exciting and GC-dnagerous), and not a rich list of participants. Despite the lack of severe mountain, Quintana is my favourite. I think there’s a need for variety and to accommodate the traffic. They can’t use the same roads as last year when de Gendt won and Leipheimer crashed under pressure from Movistar. Surely you can have a myriad of possible mountain stages between Manosque and Nice, using many different mountain passes, for the fan who also likes mountain stages that don’t finish uphill and allow for strategic racing. True, there must be more than a bit of snow on the tops these days, but also on the Montagne de Lure. I think P-N works best when there are that kind of stages, also on the Massif Central. 2009 had a great course. On the hand, you’re right, P-N was more often than not just sprints and TTs. But so was Tirreno-Adriatico, and it seems they’ve been right to change to a more demanding concept. “Note the race has three categories of climb” – isn’t that a cat. 4 on stage 1? Well spotted. Reading the rulebook only three categories are listed but the graphics do show a 4th category climb. You seem to have left Katusha out of the the jersey’s section. ASO left them out of the diagram, presumably produced before the CAS ruling… but they’re on the list below. Just for everyone else, it’s stated above but note the start list is still provisional and the correct version will go on here as soon as it’s out. Excellent preview, many thanks for posting it. I’m sure the new motorbikes’ll be great…but I for one will miss the old blackboard – based approach. Something pleasingly analogue about doing it that way in a digital age. Here’s what they used on the Tour de l’Avenir last year. I chatted with them while they waited for the peloton to arrive – it was early in the stage and no breakaway had formed. The man with the board said that chalk would have been useless on a day like that. Excellent preview. Hard to pick a clear favorite this year so it should be an entertaining race. The parcours will suit the rider who has the best climbing legs. My pick is van Garderen who will want to show his early season form is good. Also looking forward to seeing how Tiernan-Locke goes for Sky, plus Richie Porte gets an opportunity to ride for the overall. Bring it on, spring is just around the corner! Great preview, many thanks. Probably beyond capacity and it’s certainly greedy of me, so apologies for asking, but I take it Tirreno won’t get the same attention given your commitments and the overlap of the races? Either way looking forward to P-N and the first The Spins of the year, cheers. Be interesting to see how Kelderman goes. Good start for him at the TDU this year and he’ll be looking to build on last year’s consistent perfomances. Really enjoyed reading that – thanks. Is there any reason why Saxo-Tinkoff’s line-up only contains 7 riders? Looking forward to following Nicolas Roche’s riding if I can. 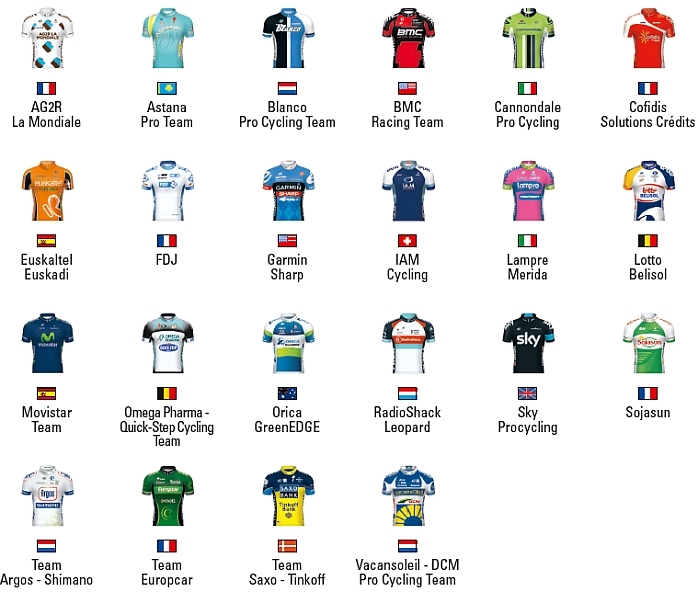 Teams of eight for the race and the list above is provisional, most riders named should be listed above but not all. I believe Petrov is the 8th man. The parcours is boring, the stage to Nice especially dull. But that’s ASO, we are used to it. Noticed that you said that the highlights are on ITV4 here in the UK. Was going to tell my parents about it as they enjoy cycling but don’t have Eurosport, but sadly ITV have nothing on it on their website or schedules. They have the rights to the race and are supposed to do something… but I don’t know when each country will do it. Instead you can watch live or there will be clips on youtube each day too. the usual drill for itv4 and paris-nice is an hour highlights package broadcast one saturday morning a few weeks after the race has concluded..